CC or cubic centimeters means the size of the engine. This means that how many cubic centimeters of air is displaced by the engine in proportional to the given amount of cylinder bores in the engine. It means the size of the bike engine and it is not directly proportional to power. Different bikes may have same size of engine and is delivering different amount of power. We offer a wide assortment of 100cc to 125cc Bikes that are highly reckoned for their elegant design and high performance. The 100cc bikes falls in the category of commuter and 125cc manages to mix both commuting and performance elements. These bikes are high in performance without compromising on fuel efficiency. Motor cycles in this segment is mostly 4 stroke and have single cylinder engine. 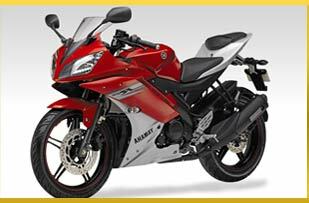 These bikes offer excellent mileage and ranges between Rs.32,000-35,000 approximately. 126cc to 150cc Bikes offered by us takes the style to next level and gives you the high performance fuel efficient bike. These bikes are presented with exceptionally attractive designs and sporty features with an approximate output of 8.0-8.5 bhp. 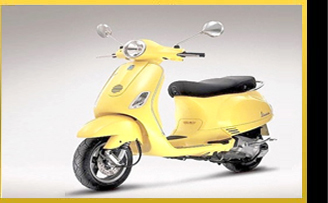 These bikes are considered as luxury bikes in middle class segment and ranges up to Rs. 40,000-45,000 approximately. The 151cc to 200cc Bikes offered by us are widely appreciated by the clients for their low fuel consumption, better mileage and low rate of emission. The bikes in this segment are relatively big in size and carries sporty and stunning looks. 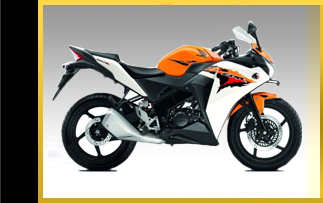 These bikes are superb in performance and can attract young buyers by their sporty style and aerodynamic looks with large fuel tank and alloy wheels. These bikes lies in the segment of Rs.55,000-60,000 approximately. This segment of bikes is considered as most exciting segment. The bikes in this segment possess lots of awesome features and attracts the enthusiastic bikers with their output capacity and heavy duty engines. These bikes have grand road presence with unmatched power performance ranging from 20.0-70.0 bhp. This segment is having the bikes from the global players like Suzuki, Royal Enfield, Yamaha and Honda.